Rentlio application has one Calendar for all portals. 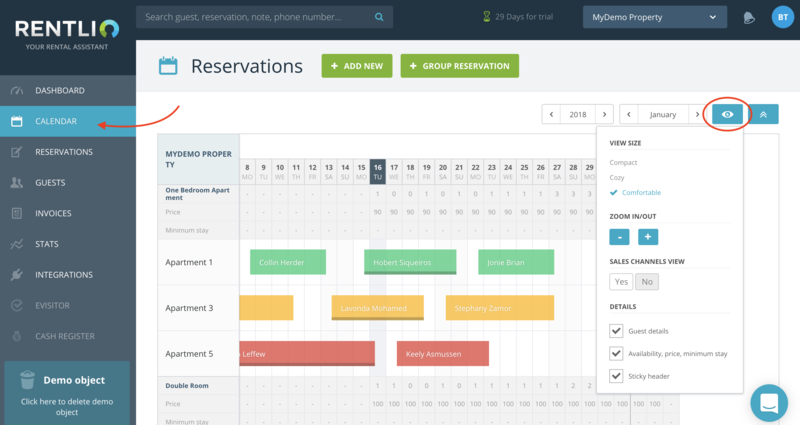 It provides intuitive and simple overview of all reservations and information in one place. 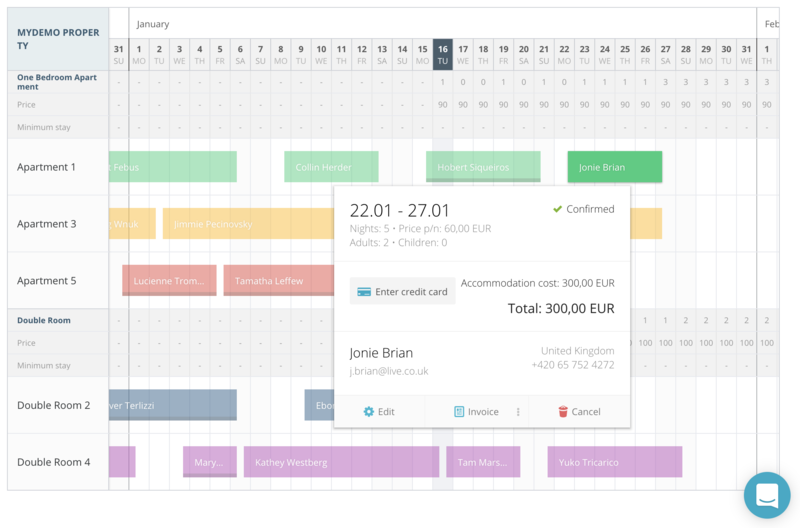 Calendar allows you to manage prices and issue invoices directly from it’s interface. You can easily access the Calendar in the menu on the left side of the application. Calendar shows you transparently every unit type with allocated accommodation unit which you have entered in the property settings. Display can be adjusted according to your preferences - just click on the “eye” icon in top right corner of the Calendar and additional menu will pop out. 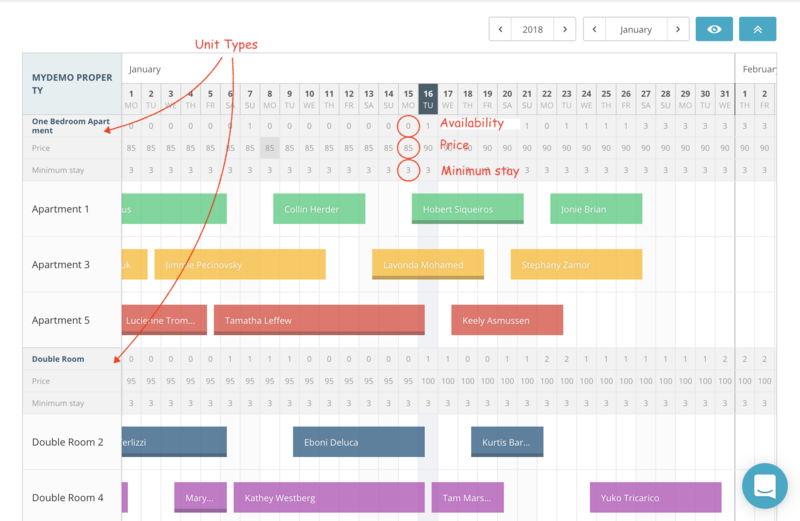 Here you can change the size of display, enlarge Calendar items and choose which details you want to show. You can add new reservation directly into Calendar, as well as update it, cancel it or issue an invoice for it by simply clicking to graphic display of the reservation. If you wish to quickly change the price or minimum stay limit on the unit type level, click on box within calendar header. Availability will generally automatically increase/decrease, depending on available units once you enter initial settings.